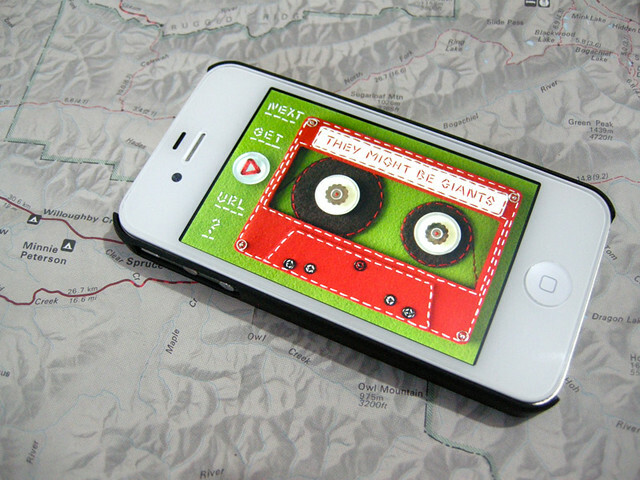 They Might Be Giants have released an iOS app for their songs. It was developed by Drew Westphal and is available to download for free at iTunes. 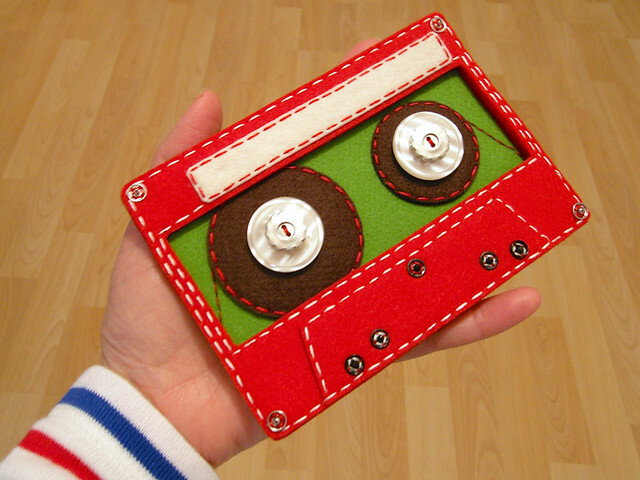 Artist Hiné Mizushima was commissioned to create the felt cassette tape used in the app’s screen. It features digital graphic work by Paul Sahre. It’s They Might Be Giants official and totally free song app. Like TMBGs original Dial-A-Song, the app has a different song every day. The app holds five of the freshest posted tracks at all times, and all are directly linked to iTunes. It also connects you directly to TMBGs social media and free MP3 club. From Don’t Let’s Start to Nanobots the app even includes brand new tracks, GRAMMY-winning kids music and TMBGs beloved television themes.